The hope of earning the black belt in Brazilian Jiu-Jitsu prioritizes itself each time one steps on the mat. Some practitioners discover it sooner than others. 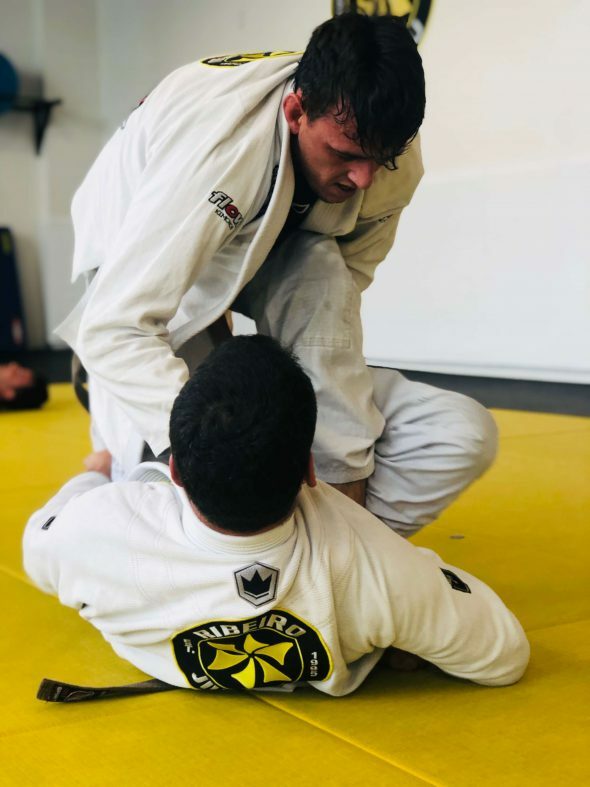 For Micah Gregory-Kai Ohlen, a brown belt under Sensei Paulo Guillobel, the end of the road to black is near, yet his journey in jiu-jitsu is far from over. “I’m just trying to be a black belt already in my mind,” says Ohlen. Sitting across from him at a local açai bowl establishment a few blocks down from Guillobel Brazilian Jiu-Jitsu in San Clemente, CA, he reflects on his roots growing up in Kauai, recent recognition in his career and the battle for the black belt. “Jiu-jitsu has to be the centerpiece of my life… It’s truly a vehicle to the success in anything I do,” says Ohlen. He began training jiu-jitsu in high school on the island of Kauai with a group of friends. The need for self-defense introduced him to the world of martial arts. In addition to learning the art, he discovered the thrill of mounting his opponent correctly. “And then choking them is the cherry on top,” he says. By the time Ohlen completed high school, his level, and skill in soccer brought him to the mainland to play for Santa Barbara City College. At first, he dreamed of becoming a professional soccer player, unfortunately, the price to play is as high as the risk for injury. “I realized that playing soccer was a privilege and it required you to have money. So, I had to work and think about other things,” he says. Ohlen began taking advanced courses in sports medicine, finishing with the highest grade in his class. He also became a teacher’s assistant, where he realized his love for educating the future. Soon thereafter, he transferred to Cal State Fullerton and graduated as the class valedictorian. “One of the best days of my life,” he says. Throughout finishing his Bachelor of Science in athletic training, Ohlen never forgot about Jiu Jitsu. 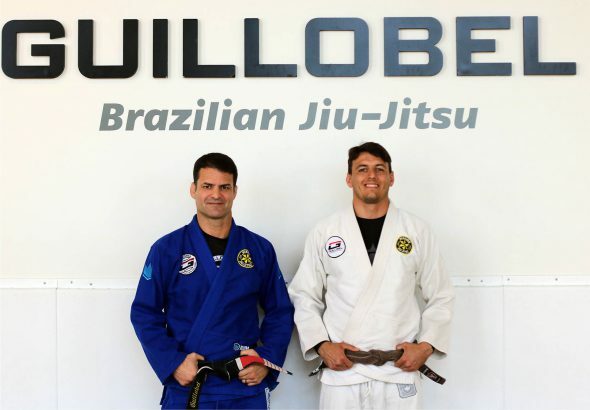 Prior to the açai-bowl fueled conversation, Ohlen and Guillobel briefly met at the dojo. Regarding Ohlen, Sensei Paulo deems the young, athletic brown belt respectful, professional and talented. Back at the restaurant, Ohlen finishes up the last few bites of his bowl. As far as jiu-jitsu goes, Ohlen pinpoints the quality of Guillobel’s instruction. It is no mystery that the higher belt one gets in any martial art, the tougher the instructors and training become. Ohlen accredits his best defenses and submissions to Guillobel, primarily because Guillobel uses them on Ohlen, himself. The recognition and respect Ohlen receives from Guillobel on and off the mat transcends into his career. At the beginning of 2019, Ohlen was honored several awards from the Capistrano Unified School District, the state of California and the nation. Beginning with the Safe Sports School Award, Ohlen nominated San Juan Hills High School and won first place for the national award. Coupled with the prestigious award, the CUSD nominated him for the Extra Miler Award in recognition of going above and beyond for his service. Displaying leadership and genuine care, Ohlen counsels students, parents and other instructors/teachers on how to prevent injury from occurring and the progression of restoring students who were injured. The praise didn’t stop there. In February, State Sen. Patricia Bates of Laguna Niguel, made a resolution of San Juan Hills High School, recognizing their accomplishments with the National Athletic Trainers’ Association for their recent Safe Sports School Award. Then, Ohlen was nominated as a Top 25 Employee in Orange County, making his way into the top ten and earning Athletic Trainer of the Year. Ohlen hopes the recent recognition will “opens doors not just for myself, but for all athletic trainers.” he says. This community-minded mentality roots back to his upbringing on Kauai. In each encounter and experience, Ohlen accredits his philosophy of life to Hawaiian culture and jiu-jitsu. 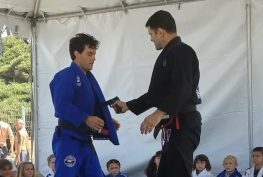 As he continues toward his goal of earning the black belt in jiu-jitsu, he focuses on the fundamentals and principles of the martial art. He plans to teach jiu-jitsu in the future while pursuing to become a firefighter.